His story is inspirational and it will show you how regardless of your situation or background, how when you shift the way you think and act, it can transform the quality of your life. That’s the realization that Noah came to when he was stuck in a dead-end college lifestyle that was taking him nowhere, fast. The changes he made snowballed into an amazing book (Afformations), a book deal, and transformed his success as an Author, personal growth mentor, and power habits coach. 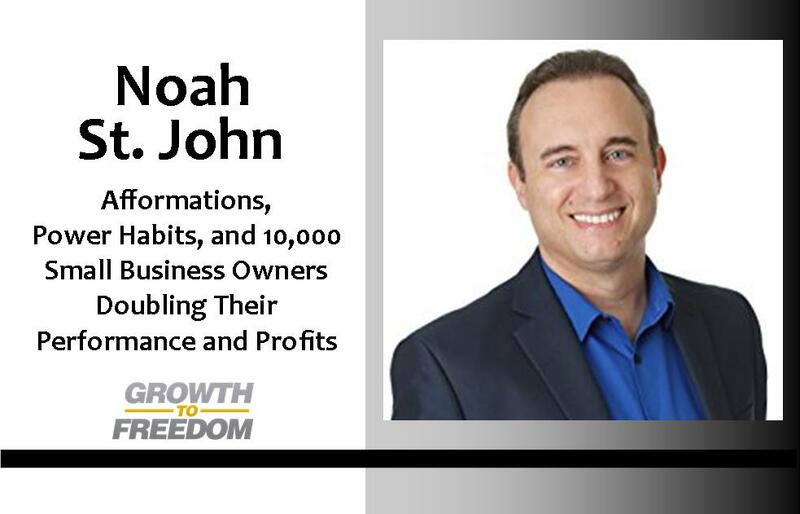 If you’re looking for practical, powerful things you can do TODAY to get your life moving in a better direction, Noah St. John is can show you how to do just that. [0:33] Who is Noah St. John? [10:53] Which is more important, the inner game or the outer game? [11:38] What are power habits and how can we put them into place immediately? [13:55] Some of Noah’s favorite power habits he uses daily. [17:17] A personal transformation Noah St. John experienced.